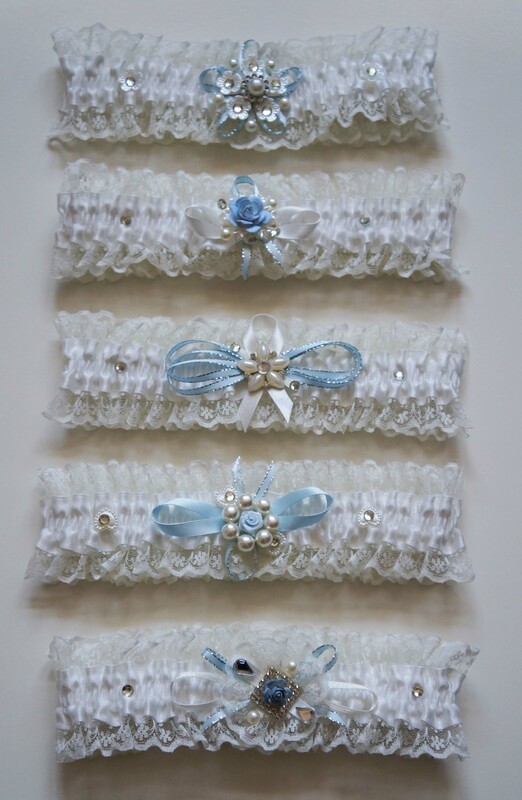 Garters by Glenn. 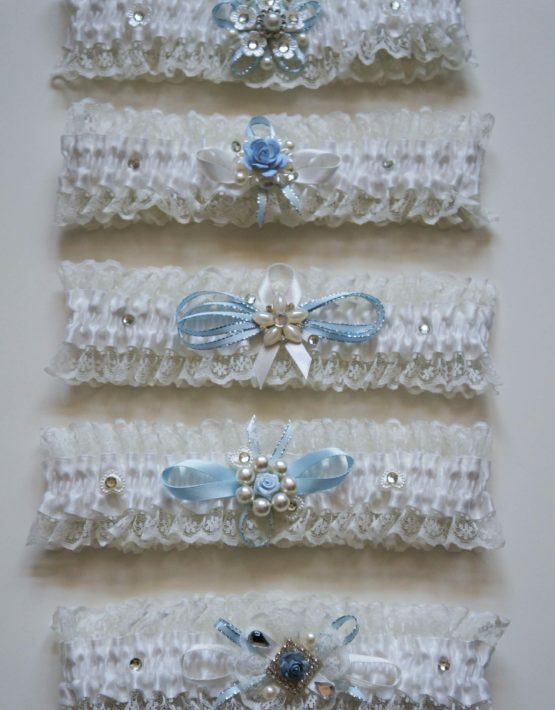 The Lotus, lovingly hand made in Western Australia. 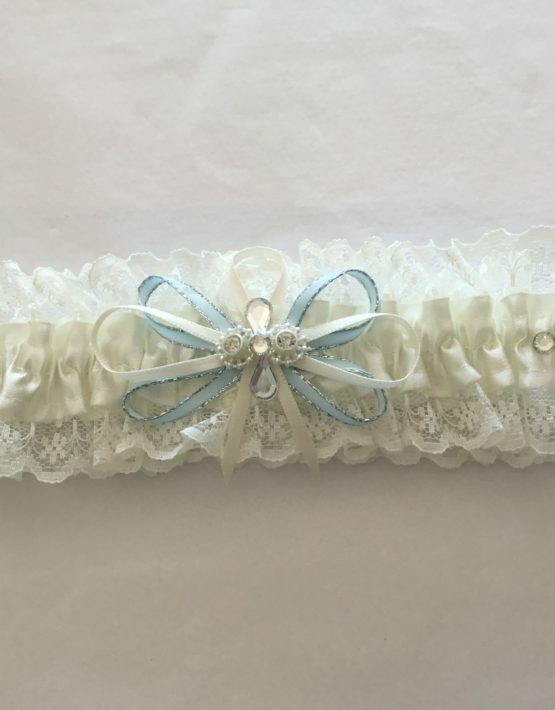 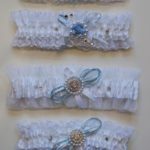 This beautiful unique garter is made in ivory satin with ivory lace and features blue ribbons.